Elliot Schrage, a longtime Facebook exec who played a key role in helping the company organize its response to the Cambridge Analytica data scandal, is stepping down. Schrage is the top policy and communications exec at Facebook (FB). He said Thursday he plans to depart after more than a decade with the company. "Leading policy and communications for hyper growth technology companies is a joy — but it's also intense and leaves little room for much else," Schrage wrote in a Facebook post. Schrage added that he has been "discussing" his exit with Facebook's top two executives — Mark Zuckerberg and Sheryl Sandberg — "for a while." He intends to lead the search to find a replacement. The exit represents a rare departure for a company known for its retention of top executives. As it so happens, Twitter (TWTR)'s top communications exec, Kristin Binns, also announced plans Thursday to leave after two years with the company. Binns is joining Activision Blizzard (ATVI), an interactive entertainment company. Both Facebook and Twitter have faced greater scrutiny from users and regulators since the 2016 election due to the spread of fake news and election meddling on their platforms. But Facebook has come under a particularly harsh spotlight this year after Cambridge Analytica, a data firm with ties to President Donald Trump's campaign, was revealed to have accessed information from as many as 87 million Facebook users without their knowledge. Facebook's top execs were initially criticized for being too slow in speaking publicly about the data scandal. 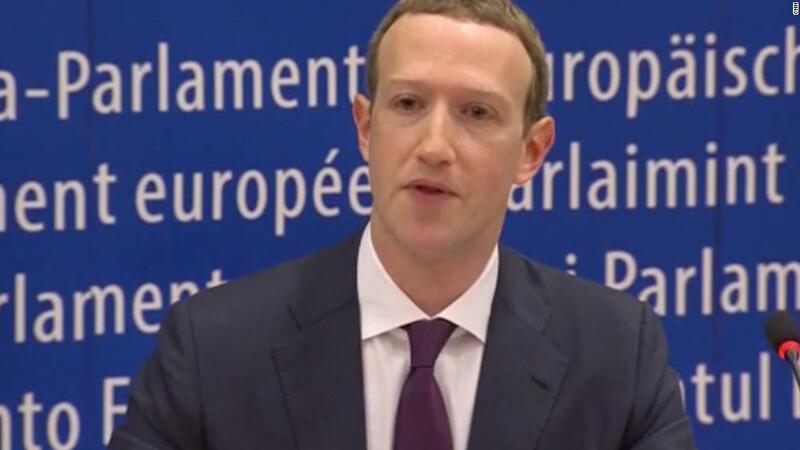 Since then, Facebook has made execs available to testify before politicians on both sides of the Atlantic and worked to be more proactive in reporting data privacy issues. Sandberg, Facebook's COO, credited Schrage with being "instrumental" in the company's recent efforts to be more transparent with its community standards and creating an independent election commission. "There is much more to do — and we don't have all the answers," Schrage said in April in announcing a partnership with academics to better understand social media's impact on elections. "This initiative," he added, "will enable Facebook to learn from the advice and analysis of outside experts so we can make better decisions — and faster progress."